How Much Do X-Rays Cost? | GirlsGospel.com - Save the NHS! 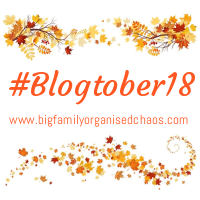 It’s day 24 of Blogtober and today’s prompt is X-Rays and broken bones. So today’s prompt got me wondering how much do X-Rays cost? I am painfully aware how lucky we are to have the NHS. The thought of having to foot the bill for all of my family’s health issues terrifies me. So with all of that in mind, I thought now would be a good time to share how much some procedures cost. This year, I have been pretty poorly, so have had a lot of procedures carried out. I have worked out the average cost of each procedure in America for people without insurance, so I can give my readers an idea of the prices we may be faced with if we didn’t have the NHS. Chest X-Ray: The average cost in America is: $370 (£286 today). C.T. Scan of my Brain: The average cost of those in America is: $1200 (or £929 in today’s money). C.T. Scan of my abdomen: This would have cost me around $2325 in America, (or £1800). Heart Echo: The average cost in America is $1500, (or £1160). Pelvic Ultrasound: On average, these cost $525 in America. That’s £406 here. Pulmonary Angiogram: These cost on average $4800 (Or £3715 here). This test was performed because the doctors thought I had a blood clot on my lung. If I had done, and the scan wasn’t done, I would have died. End of story. Blood Work: This costs around $1500 in America, or £1160 here. I have had this done at least 8 times this year – possibly more. Can you imagine having to find the money to pay for this if we didn’t have the NHS? The average family can expect to pay $844 per month for health insurance. (£653 per month here). Those policies usually don’t cover pre-existing conditions or they charge a hefty premium to include them. This would mean my husband’s arthritis and diabetes wouldn’t be covered. My own depression, under active thyroid and arachnoid cyst wouldn’t be covered. The cost of my Anti Depressants would be an average of $91 per month (That’s £70). My Thyroid meds would cost $4 per month. (That is not a typo)! They are available over the counter in America, so would only cost me £3.10 if we had the same here. Long story short: Hospital procedures and insurance would cost people much more than we pay in tax if we didn’t have the NHS. People with pre-existing health issues would struggle to make ends meet and I, for one certainly couldn’t afford to look after myself or my family. Even if you have insurance, you still pay an excess on most of those treatments, too. I, for one am on team SAVE THE NHS! When asking how much do X-Rays cost, the answer is… more than most working class people can afford.